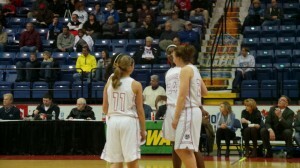 In the first game of a BCIAA girls basketball semi-finals double header, No.2 seed Fleetwood took on No.3 seed Oley Valley at Santander Arena Tuesday evening. The two teams had previously met January 4th, with Fleetwood emerging victorious behind a 51-39 final. The Lady Tigers jumped out to an early 6-2 lead before Oley scored the final six points of the first quarter to take an 8-6 lead. In the highest scoring quarter of the night, the Lady Tigers and Lady Lynx traded blows, with Fleetwood gaining a slight upper hand, claiming a 24-22 lead heading into the break. Both Fleetwood’s Xiomara Toledo and Oley Valley’s Victoria Moll knocked down multiple jump shots to keep their teams afloat. The third quarter finally saw the emergence of Fleetwood’s high scorer of late, Cyre Virgo. Virgo used a big third frame to push Fleetwood to within a quarter of the BCIAA championship game. However, Oley’s Brandi Vallely seemed to have an answer for nearly every Virgo basket. After three, the Lady Tigers held a 34-29 lead. In a tightly contested fourth quarter, the Lynx saw their star Brandi Vallely pick up her dreaded fifth foul, while Fleetwood’s Isabella Mullen and Xiomara Toledo took care of business at the charity stripe. When the final horn sounded, the Lady Tigers came out on top 47-40. Leading the way for Fleetwood was junior center Cyre Virgo, who finished with 16 points and 14 rebounds. Xiomara Toledo added 13 points, as well. 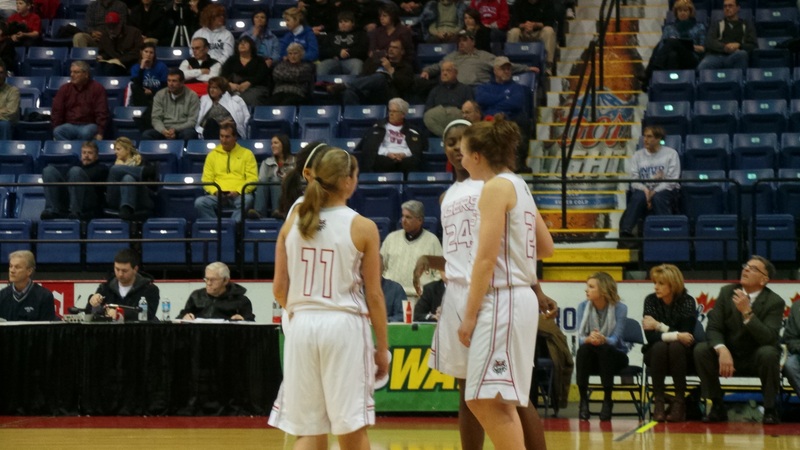 Meanwhile, the Lynx were led by senior Brandi Vallely, who laid claim to 15 points, 15 rebounds, and 7 steals. Victoria Moll also poured in 10 points for Oley Valley. The Lady Tigers will face No.1 Wilson on Friday night at 6 pm in front of what should be a raucous crowd at Santander Arena.